Fishing in New Orleans during August can be difficult with the weather . August is peak summer heat and it can be brutal at times but as long as there’s a some sort of breeze it is manageable. The fish have been cooperative but the weather hasn’t been. Not so much here but abroad. Let Me explain, about mid August there were some serious flooding in Louisiana and about a week later there was the threat of a hurricane in the Gulf of Mexico which lingered for a week or so. Neither of these events effected the New Orleans area but with the national media coverage of both they effected the tourism to the state . In return making people cautious of coming to the area during these times . Which I can’t blame them. For those who did come fishing in New Orleans during this time the rewards were good. Catching red fish and some black drum, my New Orleans Fishing Charters had visitors returning home with lasting memories and ice chest of fish. We have been catching red fish and drum alike with market shrimp under a popping cork working the banks of the bays and lakes. I’ve also had a lot of success fishing with gold spoons in the grass beds on the flats. The reds that we have been catching have been in the 18″-28″ range. The speckle trout are starting to move back in and we should be seeing some of them hitting the docks in the next couple weeks . I want to thank every one for coming out and fishing with New Orleans Style Fishing Charters. I look forward to having y’all back out again someday. 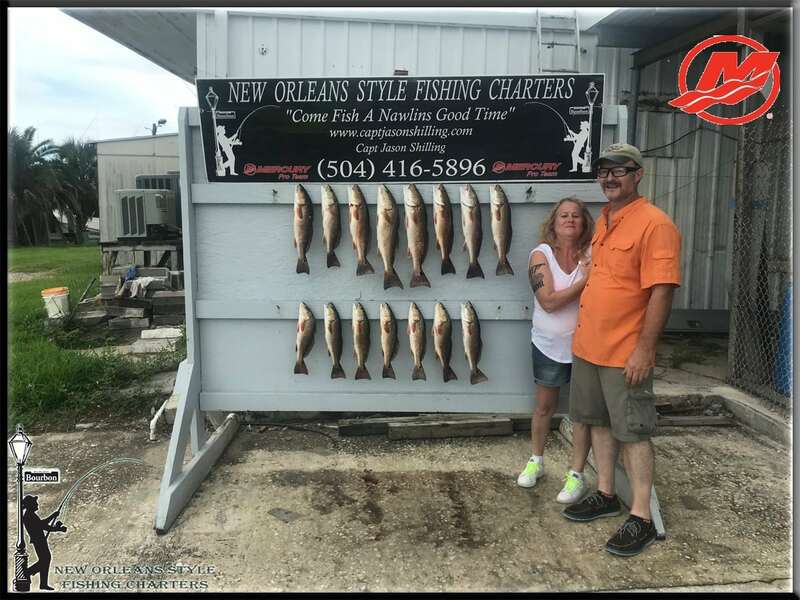 If you would like to get in some fishing while in New Orleans please feel free to contact me with any questions or to schedule your fishing charter…. I’m booking trips daily, come out and enjoy the back water fishing of the New Orleans Marsh and Bayous feel free to give me a call with any questions or to schedule your charter today.